2 absorbent baby bibs, 2 good quality body suits, a super soft blanket, a lovely traditional shawl, a beautifully designed comforter and matching rattle, all gently placed in a our trademark wicker hamper, wrapped with cellophane and sealed with a satin bow. Be sure to type your message for your free gift card in the box below. 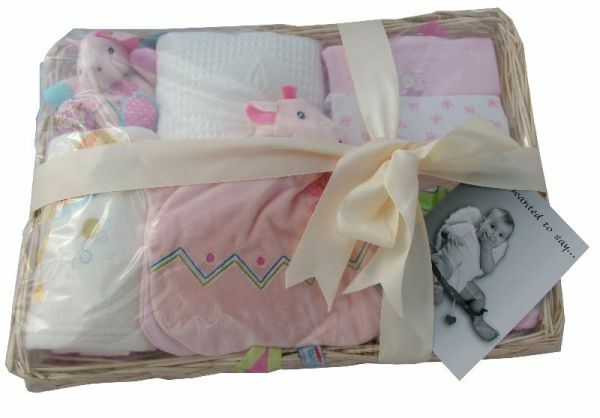 With free UK postage this baby gift basket makes an ideal gift to give.